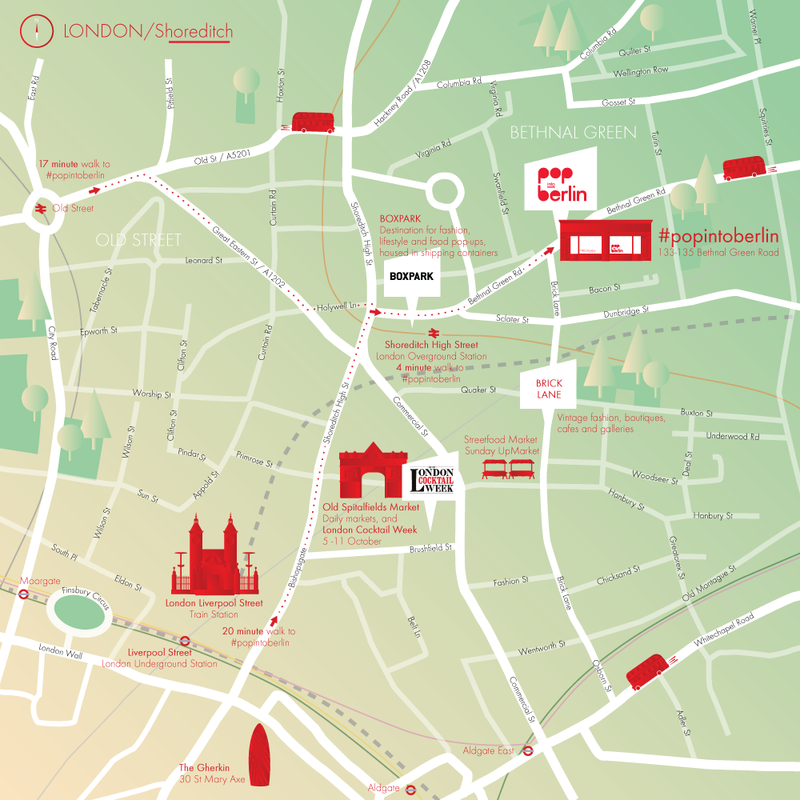 Icon illustration and map layout & design for the London Shoreditch and Berlin-based ‘Pop into Berlin’ pop-up shops hosted by visitBerlin. 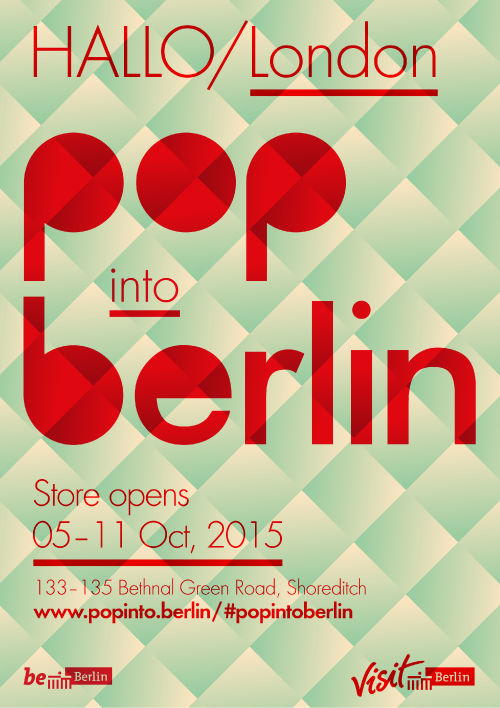 For “Pop into Berlin”, visitBerlin in cooperation with ‘be Berlin’ opened pop-up stores in five European cities to market Berlin as creative, innovative and liveable metropolis. The stores were open for one week each in top inner-city locations in Stockholm, London, Vienna, Amsterdam and Paris to showcase innovative and trendy Berlin brands and start-ups. 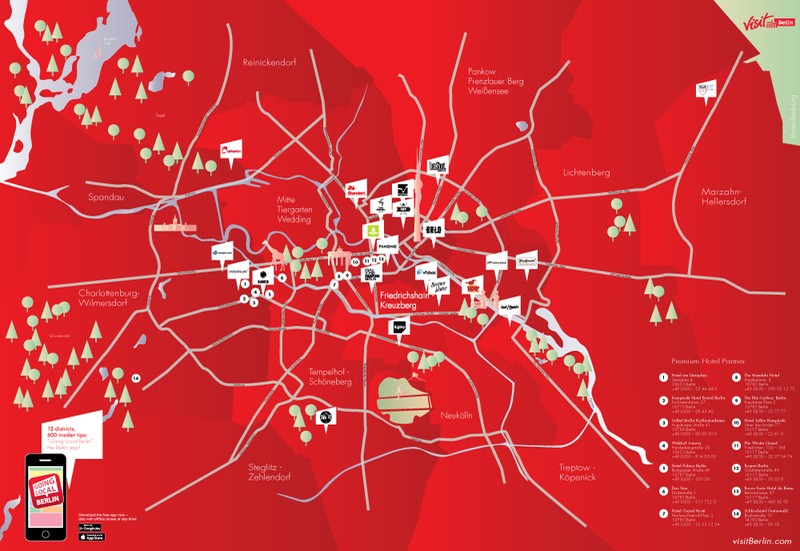 The illustrated icons and map design was created to integrate with the existing Pop into Berlin project branding by visitBerlin (see poster below).